Homosexuals in the clergy and in seminaries have worried him, says Francis. The topic is a “very serious matter”. Pope Francis is concerned about homosexuals among Roman Catholic clergy. “In our societies, it seems that homosexuality is a fashion, and this mentality also influences the church in some way,” he says in an interview in Spanish, today in the book “The Power of Vocation: A Conversation with Fernando Prado “is published. Homosexuals in the clergy and seminaries worried him that it was a “very serious matter”. People with “this deep-seated tendency” should not be allowed in seminars in his opinion. The statements come from the interview book by the author Fernando Prado entitled “La fuerza de la vocacion” (The power of vocation), which is to appear in several languages. 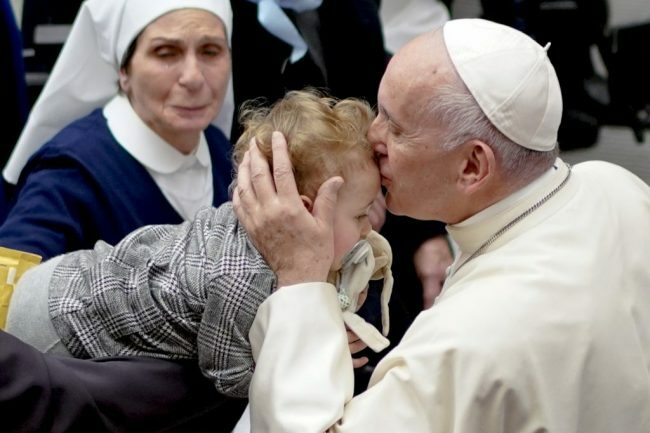 In it, the Argentinean Francis speaks mainly about the vocation and consecrated life. Homosexuality rejects the Roman Catholic Church. However, Francis repeatedly opposes the discrimination of gays and lesbians.